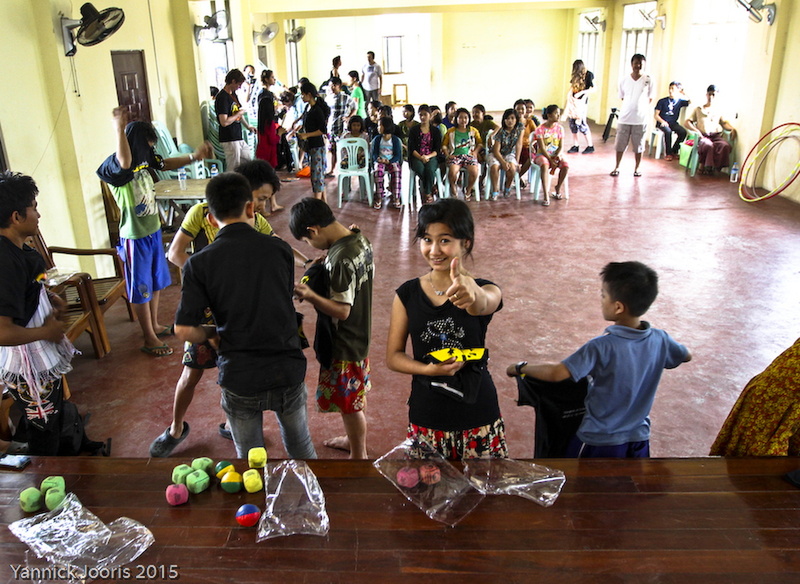 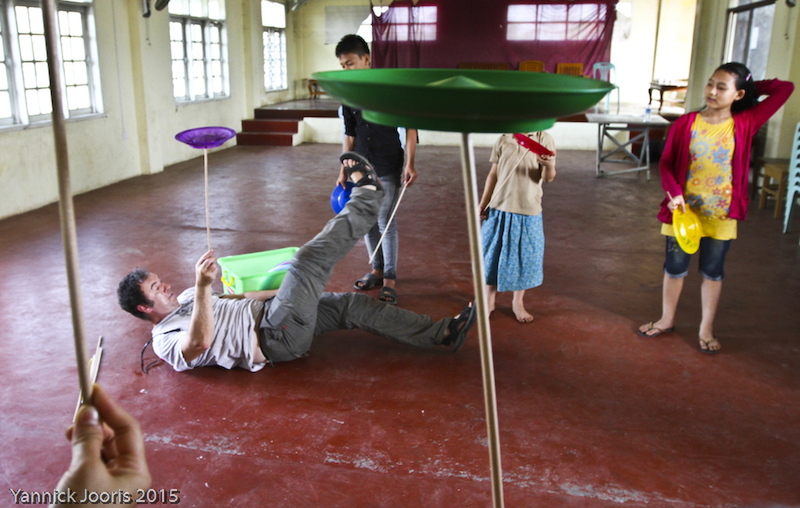 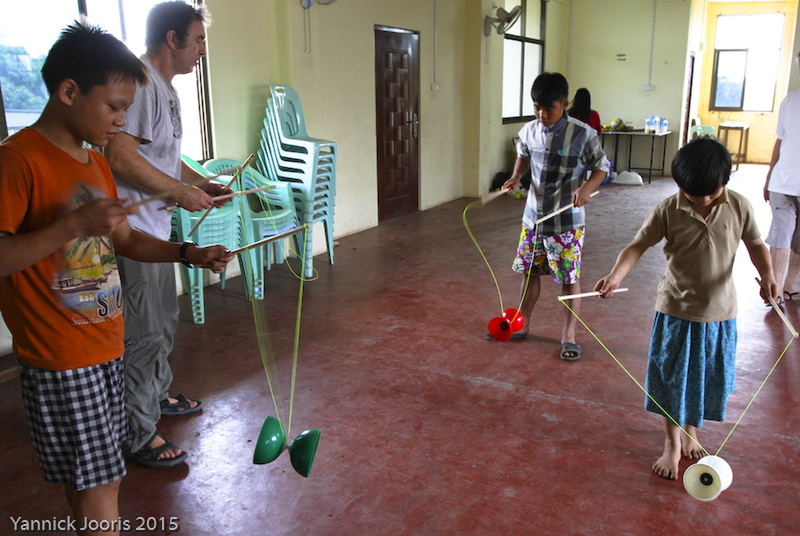 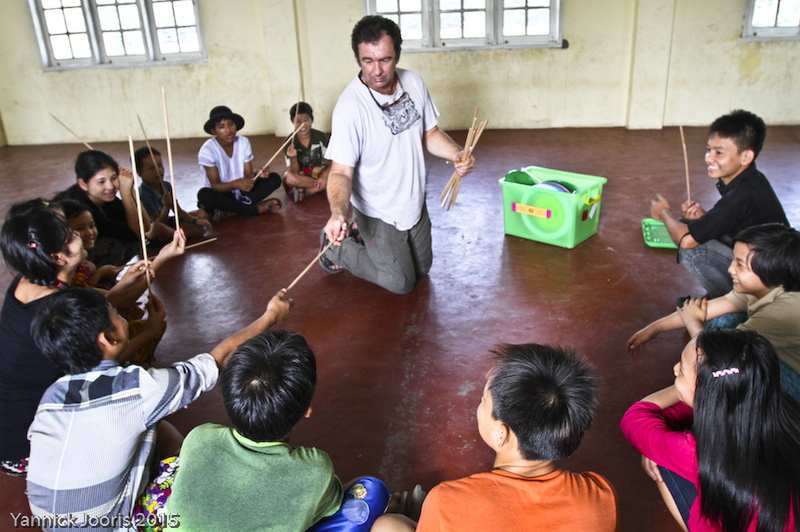 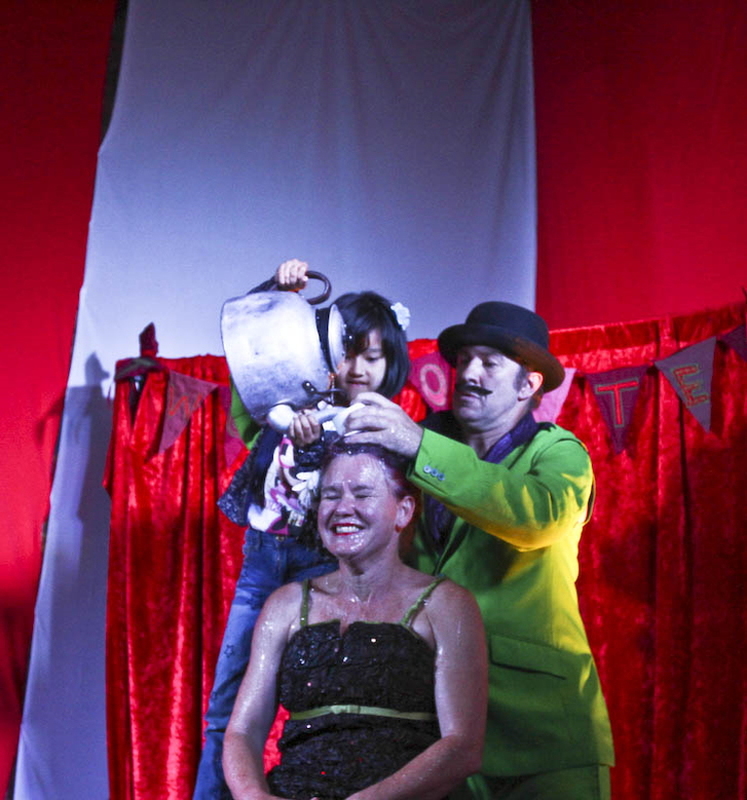 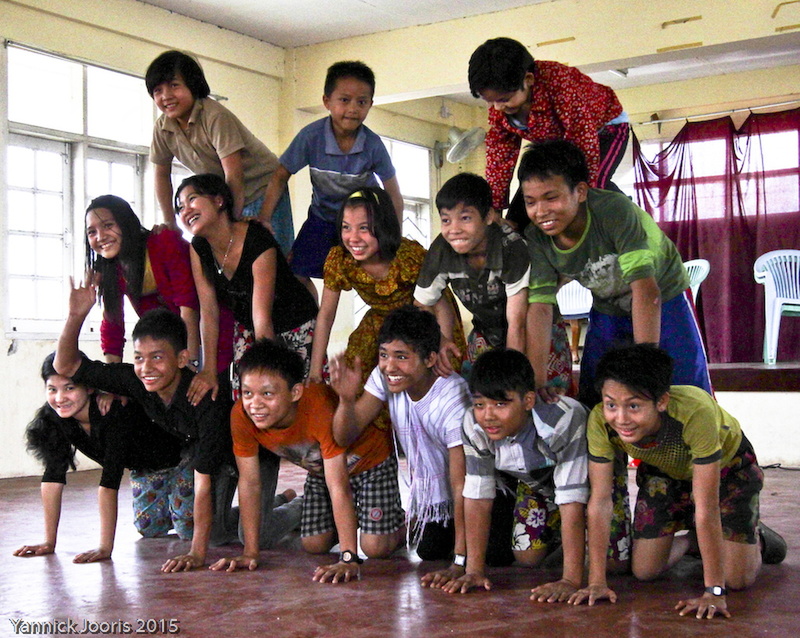 In February 2015 JustPlay – Jo & Jake & Roo – joined the 1st International Juggling Festival, Yangon and ran workshops in circus with young Karen refugees. 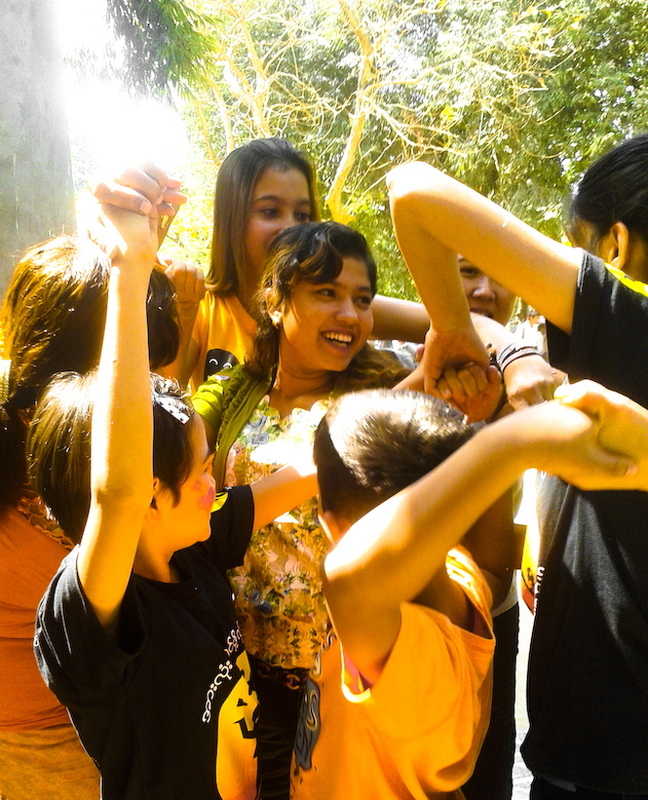 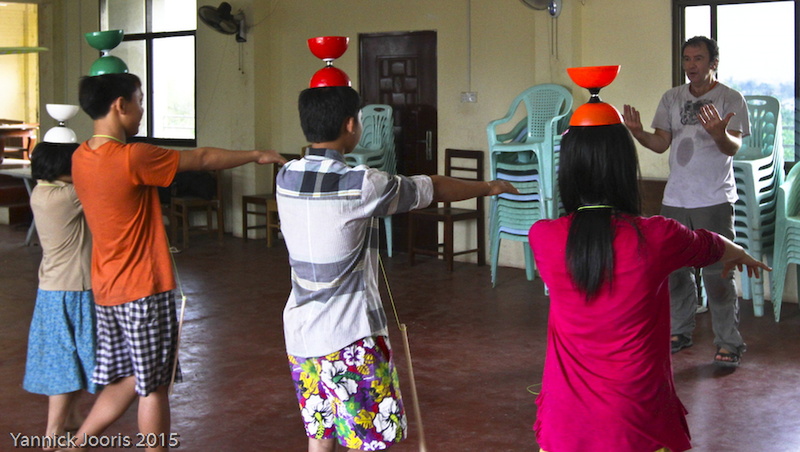 They worked with young people that the Serious Fun in Yangon team had been training in circus skills and helped get these groups to a performance level so they could show their work at the Day of Fun. 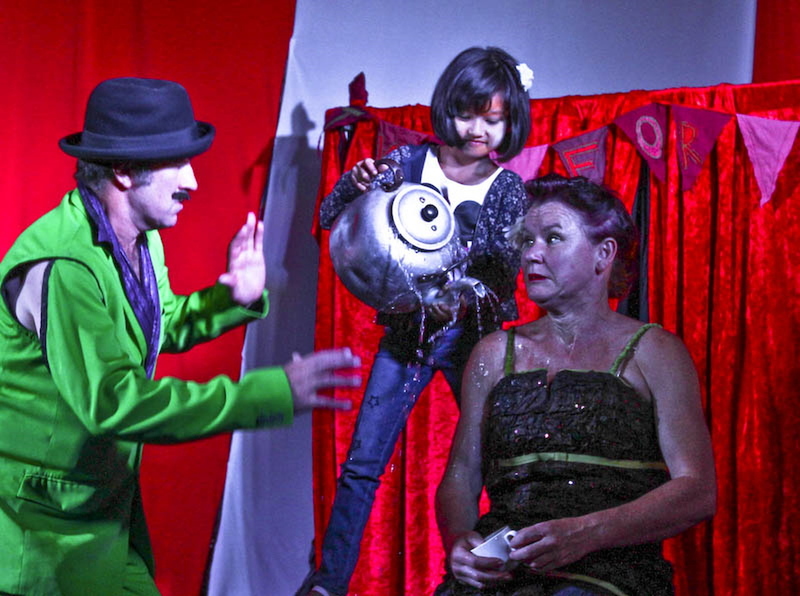 To support the Festival (a non-profit organisation), as Other Half Productions, Jo, Jake & Roo performed their show Two For Tea at bars, corporate events and in the Gala Show (performed live to a 1000-person audience and broadcast on MRT-4, Myanmar national television).